To survive in today’s competitive market with new buyer behavior, you have to think differently about your business and take a bold approach to your sales and marketing strategies. Traditional sales and marketing tactics are outdated – they don’t work in the modern age. You generate leads and grow your business by speaking your prospects’ language, offering remarkable solutions to their pains and problems, and helping to guide them to a logical purchase decision. These revenue generation books provide you with marketing and sales strategies, best practices and action items to help you guide and connect with your prospects, empowering you to revolutionize your business, separate yourself from your competition and realize your full potential. The sales funnel has been marketing dogma for over 100 years, and it remains intact, even though technology has revolutionized sales and marketing. The reality is that your prospects don’t buy like they used to. They’re overwhelmed with information, and it’s your job to help them cut through the noise and build a relationship with your business. 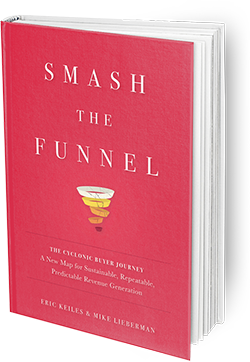 To rise above the competition and drive sustainable, repeatable and predictable revenue in a hyper-competitive digital landscape, you have to smash the funnel. Discover the Cyclonic Buyer Journey™, a paradigm-shifting view that finally puts the customer at the center of the marketing, sales and customer service delivery process. Learn how to use this methodology to provide a remarkable experience for your customers, create better revenue generation plans and grow your business faster. It’s time to face reality: The traditional, tired sales process you’ve been using for years is no longer going to help you grow your business. With commonplace use of the internet, buyer behavior has changed for good. Until your sales process aligns with new buyer behavior, you will remain in neutral while your competition shifts to drive. 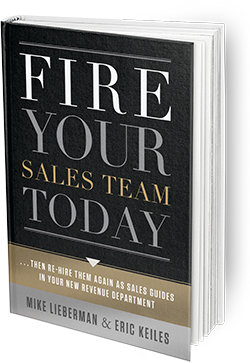 Fire Your Sales Team Today outlines the refined approach to sales and marketing strategies that depends on Sales Guides and fills your sales funnel and establishes your company as the obvious choice. Learn how to merge your sales and marketing departments to create a cohesive Revenue Department, where inbound marketing and inbound sales strategies are unified to maximize lead generation and revenue. For far too long, business owners, entrepreneurs and marketers have blindly followed the expensive advice of traditional advertising agencies. Outbound marketing tactics like radio spots, billboards and direct mail don’t perform like they once did. 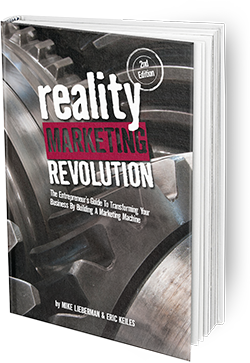 To impact revenue, your business needs a Reality Marketing Revolution – a game-changing approach to inbound marketing that differentiates you from your competition and strategically positions you in front of the prospects looking for someone to solve their pains. Discover the refreshing perspective on marketing strategy and quantifiable tactics that drive leads and maximize your marketing ROI.